Didn’t see it? Well heres a little hint on one of the frames. 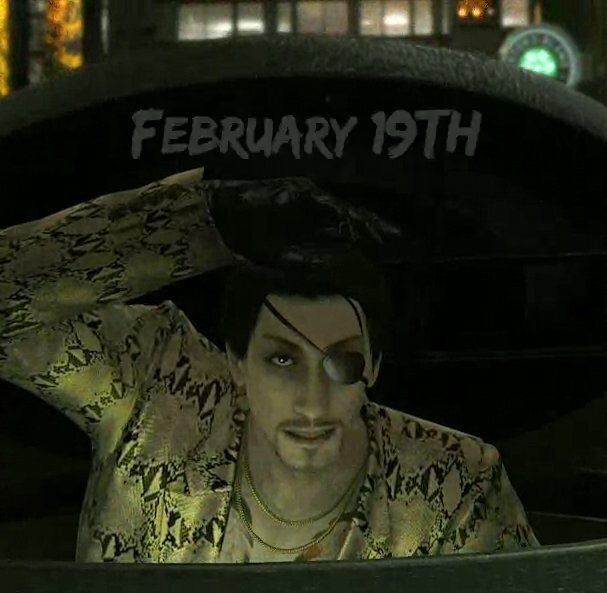 At the very least we are getting some news on Yakuza Kiwami for PC soon, but it is a safe bet that it will be releasing on February 19th. As more news comes out about this version of the game we will be sure to report on it here! In the meantime check out our review of the PS4 release of Yakuza Kiwami here. Thank You XSEED for Providing a Review Copy of this Game! Senran Kagura has had many faces for quite some time. Starting off as a 2.5D brawler, to a 3D musou, to a rhythm game, Third Person Shooter, questionable visual novel, and finally a pinball game. Senran Kagura: Burst Re:Newal doesn’t go all the way back to its roots gameplay wise by making it 2D, but close enough by going back to the 3D musou-esque brawler style of play. As the name implies Senran Kagura: Burst Re:Newal (which from here on will be shortened to Re:Newal) is a remake of the original Senran Kagura along with its expansion/sequel, Senran Kagura: Burst. As explained earlier, Re:Newal is a remake of Burst, so the story is more or less exactly that with no real changes. If you haven’t played Burst, there are a couple things to note. For one, the story is split into two perspectives. One from Hanzo – the good ninjas – with the other being Hebijo – the bad ninjas. The story doesn’t really do much outside of the two schools interacting with each other a few times only for it to be settled in one final confrontation. Which isn’t bad per se, it’s just tropey fun in the end. Much like the developers though, I myself kinda forgot how serious the original story was at times compared to the completely campey nature of later entries. When it comes to combat, this is what Senran does best, and here it delivers in spades. As always you have your light and heavy attacks. You can also transform to boost your attack and defense, and use your super movers. Not to mention the tried and true Frantic Mode where you forgo all defense to have the attack boost of a lifetime. As always, you will die in just a few hits on higher difficulties. There are some new additions to the series. One is the the Burst system. As you deal and take damage, your Burst gauge will rise. Once full, you can activate it. Once activated, your damage output will increase even further, and once depleted, you’ll automatically use your Burst attack which will deal a significant amount of damage to anybody nearby. The game will also tell you when an attack is coming and how much range the move has. It’s certainly an interesting addition that seemingly can’t be turned off, but it makes parrying infinitely easier to manage since you’ll always know when something is coming at you. In terms of levels, things get a little weird since it becomes a middle ground of Burst and the first 3D Brawler game, Shinovi Versus. In this remake of Burst, the size of the maps are extremely truncated compared to Shinovi Versus let alone Estival Versus. Maps can be completed in only a few minutes. I can’t recall a map that had more than 5 or 6 waves of enemies. Even then, a well placed combo can eliminate a good portion of a wave all on its own. And while it’s good to go through a level as fast as possible, most levels contain bonus scroll items which has lore components which is nice. They can be found in breakable items, some normal enemies may be carrying them, and some hidden higher-leveled enemies may be carrying them as well, so it’s always good to keep a sharp look-out. Considering I played this on PC, it’s only fair to discuss my experience with it. To quickly outline my specs, I have a 8700k, 16GB of RAM, and a GTX 1070. With this, I was able to achieve 4k 60fps with ease on the highest settings. The only time it goes below 60 seems to be during transformation sequences and God forbid you face or use someone that mainly uses projectiles like Mirai. If you do, expect to go from 60 to the middle 40’s for a brief moment. The upgraded final boss battle will tank frame rates to the same extent as well. There are some technical issues on the PC side. There are some text bugs, such as the game telling you, you failed a mission when you actually succeeded. But, the main one I faced is that unplugging your controller will cause the game to crash immediately unless it was out of focus. It should be noted that you can only change the graphics settings in-game which you have access to after doing the first mission in either school. While I won’t give away how the new Orochi fight works, I would kill for a remake of 2 or for more of that in 7Even, it was Marvelous. However, what wasn’t so Marvelous was the fact that the character-driven side stories aren’t here in place of general missions. Granted, it was like that in Burst, but it’s a shame to see it gone. Same with multiplayer although the game tended to quickly die after launch so it may not have been worth it to put in. A few years ago, the original version of Corpse Party was released in the west. It is a really fun horror adventure game that released on the PC-98. Now, Corpse Party Book of Shadows is a retelling and at the same time a sequel to Corpse Party: Blood Covered which in itself is a remake of the original PC-98 game. That said, if possible, it would be best to play the remake instead of the original in order to play this game. Sure you can get by with some knowledge considering a good portion of the game is the same. However, to make the most of everything, Blood Covered is definitely preferred. The narrative in Book of Shadows, is not just a sequel, but a direct sequel to Blood Covered. In the final bad end of Blood Covered, Satoshi is the only one who remembers the series of horrifying events while everyone else thinks it was just a weird dream. The day continues on only for Satoshi to notice that he was living the same day they all were teleported to Heavenly Host. As you can imagine, it ultimately ends with the cast teleported to Heavenly Host once more but now with Satoshi thinking of a way to save his friends this time. Sadly, we quickly learn saving them is not an option and saving them now will only make their death much more gruesome later. With an example being one of the characters that used to hang around got caught slipping. All of these new instances are just as horrifying if not more horrifying when compared to the previous entry. These new experiences also give new context and add story elements to what happened in Heavenly Host as well. Did you know that this entry is a major shift in terms of gameplay? Beforehand, you could explore the school as much as the game would allow. That’s still the case here. However, the game has gone from an adventure game, where the game was shown from a top-down perspective, to a point and click adventure game with cutscenes playing out as if it were a visual novel. This works because it’s still just as scary to other entries. Thanks to the game’s artwork, and overall sound design which are absolutely fantastic. Now, I did just say you can explore the school as much as you want. That’s true and untrue at the same time. As you continue to explore the school, and its objects, the darkness will slowly start to consume you which will lead to a game over. In typical Corpse Party fashion, there are quite a few ways to get a game over so think logically in your actions. The PC port of this title is for the most part pretty good. The game was able to run at 1080p 144fps and 4k 60fps on my respective monitors and my goodness the game looks gorgeous now. The fact that the game’s original audio was able to be used to makes this the definitive version of the game bar none. The PC version does not come without faults from what I’ve experienced. These issues can easily be patched but they should be noted for launch players. For one, when trying to play the game using the full screen function, the game refused to work properly. By that I mean, it was mixing up my displays. When I was trying to do 4k, the game would not display at all. However, it would still run. Problem was, it would be running on the 1080p monitor. Same goes the other way around but that wasn’t as big of an issue. Another issue I had with the game was testing out the controller. The game detected it just fine. However, the game would bug out on menus with me thinking there was a problem with my PS4 analog when in-fact there wasn’t. For the time being, using a controller is just absolutely out of the question. Granted, if this is only with the PS4 controller I wouldn’t be able to confirm since it’s the only console controller I have. If you take away those few issues, the game is fantastic through and through. It is honestly my favorite Corpse Party entry in the franchise and just as easily my favorite in the horror genre as a whole. Fist of the North Star Lost Paradise is a crossover between Fist of the North Star and SEGA’s Yakuza series. A crossover in terms of gameplay. You are thrown into the Fist of the North Star Universe with the flare of everything the Yakuza series has to offer. 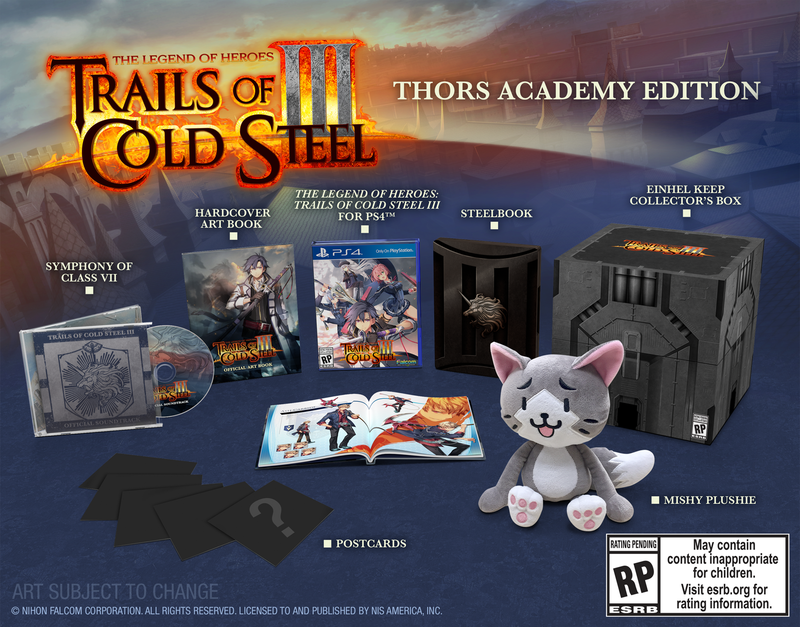 As a fan of both series, the combination of the two is something that I never thought I had wanted. How did the crossover fair? Is it a standout title in the genre of anime video games, or is this game already dead?